So here is our first Pinteresting challenge for this Pin It and Do It Challenge. Here is the pin that inspired us on Pinterest. 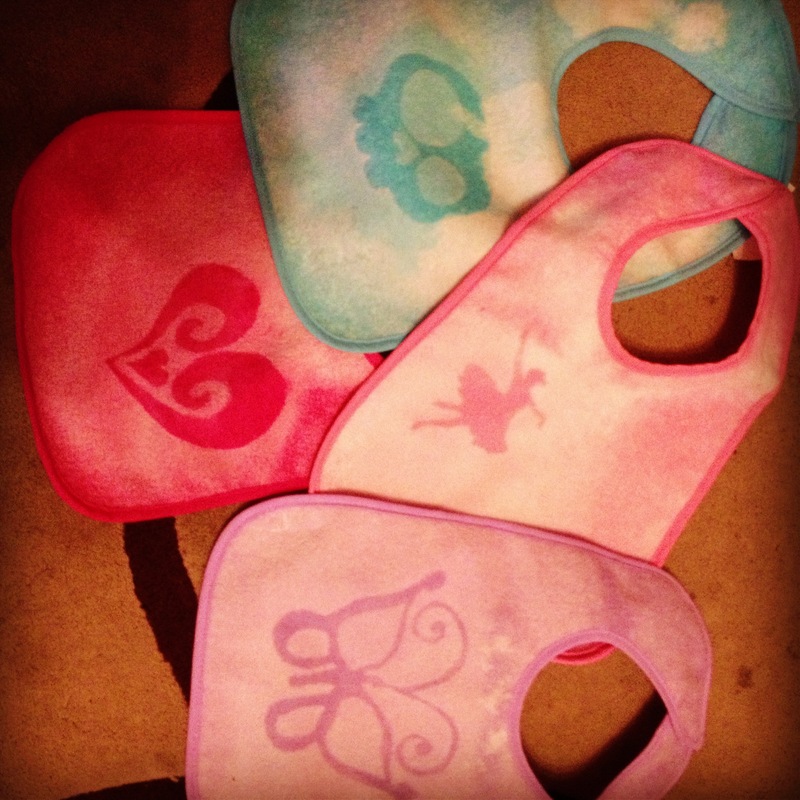 Instead of using a t-shirt – we decided to restyle some baby bibs we had on hand. So silly – we forgot to take a ‘before’ picture of the bibs! After we made these the crew at Oh So Pretty the Diaries posted a DIY on their blog. We just love the horse silhouette – so graceful! Check out their DIY tutorial – the DIY: SPRAY BLEACH SHIRT – it turned out better than ours! While we were writing this we realised that the inspiration pin came via Oh So Pretty the Diaries. Since making these my little niece (ok it was her mummy) stole them to make them her own – hahaha! But we got to keep one so we can sell it on etsy when we open it up.